Most of the times while working with IDE's it is gud to have short-cuts on our finger tips. This week-end time pass is just movies and shopping, of course this is my general and routine week -end. I can say one should watch this if believe in FRIENDSHIP.Though all most of the all songs are with Hindi lyrics Rock music dominates the lyrics.So we can ultimately enjoy the music.Those who loves rock music concerts must see this. Another Gopichand's(Actor- Hero) typical movie. No specials apart from Ali, Krishna Bagavan's Comedy for total 15 to 2o Min's . Anushka helped to entertain people just only before intervel. Planning to watch for Anushka ? I can say no need to go. you can just enjoy trailers. Won "Golden Trailer" for in Best Comedy TV Spot For "Campaign". It's a adventures comedy movie for adults. Story of two friends and room mates ; Harold looks like Chinese and kumar Patel a typical Indian in US for his studies. The very introduction scene between Harold and Kumar in shower was quite witty. The dialogues were good.Scenes like their travel on road, jumping out from plane, landing in living-room of President George W. Bush printed their funny snaps in my mind. Overall move is funny and anybody can enjoy this. Nothing great in this movie. To be frank there are no thrills. Nikhita item song is good. Apart form movies - playing cards and shopping in forum are just part of this week end mania. An !dea can change your life ...this is caption for Idea Mobile operator ...but Google's new project motto is "One idea can change the world by helping as many people as possible". If you have that idea which can change the world you will be awarded one crore Dollars(approx 45crore INR) by Google. If you want to just grab your dollars just send your idea to the above mentioned url. In view of Googles 10th anniversary Google has announced this project.In just 10 years Internet giant Google has done so much to world of Internet users. As part of this project Google is going to select best 5 ideas and they are going to give this prize amount. Your idea can be just small or big , technical or nor technical, simple or complex ...all that it needs is to "CHANGE THE WORLD" to help as many as possible. So hurry-up, sharpen your mind, think BIG ...to be part of Google - Ideas team. The xhost program is used to add and delete host names or user names to the list allowed to make connections to the X server. X is the generic name for the X Window System display server. It is frequently a link or a copy of the appropriate server binary for driving the most frequently used server on a given machine. An X server is a server of connections to X terminals in a distributed network that uses the X Window System. From the terminal user's point-of-view, the X server may seem like a server of applications in multiple windows. Actually, the applications in the remote computer with the X server are making client requests for the services of a windows manager that runs in each terminal. X servers (as part of the X Window System) typically are installed in a Unix-based operating system in a mainframe, minicomputer, or workstation. The X server may be compared to Microsoft's terminal server product except that the latter is running on a Windows-based operating system. However, there are X servers designed to run on a Microsoft Windows-based operating system. An X terminal is typically a disk less computer especially designed to provide a low-cost user interface for applications that run in a network X server as part of a distributed X Window System. Typically, X terminals are connected to a server running a Unix-based operating system on a mainframe, minicomputer, or workstation. X terminals (and the X Window System) appear to have been the forerunner for what is now generally called "network computers" or thin clients. The X Window System and X terminals continue to offer an alternative to Microsoft's terminal server product and their NetPCs. Now Xserver(vncserver) is running on this server1 exports all Display stuff to a particular port(say port number 2). User(root) who started this vncserver can now able to see all his display related stuff by exporting DISPLAY environmental variable. Using xterminal new user say user1 has telnet to the server1. Now user1 wants to use the same VNC server for his dispaly stuff. Xhost accepts the following command line options described below. For security, the options that effect access control may only be run from the "controlling host". For workstations, this is the same machine as the server. For X terminals, it is the login host. 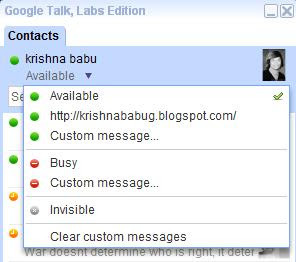 The given name (the plus sign is optional) is added to the list allowed to connect to the X server. The name can be a host name or a user name. The given name is removed from the list of allowed to connect to the server. The name can be a host name or a user name. Existing connections are not broken, but new connection attempts will be denied. Note that the current machine is allowed to be removed; however, further connections (including attempts to add it back) will not be permitted. Resetting the server (thereby breaking all connections) is the only way to allow local connections again. Access is granted to everyone, even if they aren't on the list (i.e., access control is turned off). Access is restricted to only those on the list (i.e., access control is turned on). If no command line arguments are given, a message indicating whether or not access control is currently enabled is printed, followed by the list of those allowed to connect. This is the only option that may be used from machines other than the controlling host. To get the proper display for VNC sessions ? make the file look like below and start a new vnc session. Being a root also , Not able to install when ur builds are on NFS drive??? I logged in as root in Solaris 10 machine, my intention is to use the builds located on one of the NFS drive and finish my product installation. I untared the build on my NFS drive itself. Started the installation,it went fine for some time and stopped automatically. There is no product specific failure messages in the logs. I am surprised ...tried other ways of installing but no use. If the NFS server is set up correctly (by someone with a bit of security knowledge) then it will "squash" root;that means that root gets demoted to the nobody account. We can call it as foreign root. So if you have any files in the install archive which are readable only by root then you have problems. It translates root to a less privileged account so you can not peek at other peoples files on the same server - basically over NFS root is not really root in fact in most cases root becomes the least privileged account on the NFS server. If you require your package to be installed by root over NFS then you need to ensure that all installer files are publicly readable (as chmod 777 will not be worked on those files). If you did relax security on the NFS server then it may work around your issue but a customer with a decent NFS would have the problem. The "chmod" would probably fail if you tried it as root - what you need to do is copy the installer locally, changed the permissions to be publicly readable and then copy the revised archive to the NFS drive. So better avoid installing to and from NFS - there are many other issues aside from the squashed root one - even with non-root users. India is a respectable country with its great culture and civilization. But now all Indians should think before, to say this with their great pride. In olden days in Indian culture women are very obedient and were far from smoking. But the people run behind modern life, has changed their desires and their habits. One among them is Women’s smoking. Today’s metropolitan India cities go widely behind the western styles. Guys and gals are becoming fond of western life styles with these environmental changes. People don’t have even time to think about the good and bad of western culture, but they just try copying them. This is simply their servile mentality. 1. Women should not smoke because they have to carry children, if she smoke it will affect her baby!! 2. smokilng Women are more porne to respiratory problems than their male counter parts. 3. Asthma like problems never controlled in smoking women. 4. Smoking kills women more easily than men. 5. Heart attack rate is more in smoking women than men. Despite of all these - Women are least bothered about the ill-effects of smoking. Women are more susceptible to smoking as they may feel it as trend. Western skirts became the symbols of accepting their culture replacing our saris’.Like this habit of smoking is also became a pitch to them. Modern life styles adnd trend passions are simply ruing the Educated people also. Whenever if somebody saw a female smoker in restaurant, office lobby, or somewhere on the roads one should easily get a feeling about them as “loose woman”. Still woman are least bothered to ruin our culture. This kind of culture is growing rapidly only in developing courtiers like our India. According to above Statistics the 1/3 of women population in india are smokers and most of them are educated. If this trend continues; by 2025 there will be equal or more number of women smokers than men. When we ask a simple question to Edcuated people who smokes - “Why do u smoke ?” their answers and reasons are pretty simple and silly. "I smoke in order to keep from slowing down." "Handling a cigarette is part of the enjoyment of smoking it." "I light up when I feel angry about something." "I smoke without being aware that I'm smoking." "I smoke to perk myself." "I get a great pleasure out of smoking." "I'm very aware of when I'm not smoking." "I like watching the smoke when I exhale." "I want a cigarette the most when I feel relaxed." "I get a gnawing hunger for a cigarette if I haven't smoked in a while." "I find a cigarette in my mouth I don't even remember putting there." It is truly remarkable that one single factor, namely smoking, which is entirely preventable, accounts for nearly one in ten of all deaths in India. It is also very disturbing to see that even the poorest of the poor, who can buy very few other things, suffer so much from an injury that may be self-inflicted, but which is hugely promoted by commercial interests in the tobacco industry. The empirical results presented in this study bring out forcefully the need for immediate public action in this much neglected field. Women who smoke are equally at risk of being killed as are men. I am alarmed by the statistics for women in this historic study. The gender disadvantage that Indian women face in society can only be made worse by smoking. The key message here is simple: Quit! Lead by example. Help protect life that's worth living. Nafisa Ali, National Swimming Champion 1974, Miss India 1976, Actor and Social Activist. These are simply feelings in my mind; which are awakening me, after seeing a situation in "Barista", A cofee shop - near coconut grove, Koramnagala in Bangalore. Situation : Boredom made me to walk to this coffee shop last Sunday. 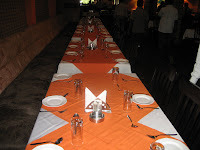 While entering in, observed the table arrangement, which best suits to couples. And on each table the woman sitting beside man was continuously smoking (I can say chain smoking). You believe me or not there were around 8 couples (the place can accommodate only approximately 12 couples at a time), none of them were non smokers. I am awarded the best "Blog of the day" this Friday 19Th Sept 2008. I am glad to win this award ... Thanks to Bill Austin.My * Hugs * to you. I never expected this award as I am having less experience in blogging. Sunday I was checking my mails casually; and I surprised to see a mail with subject about BOTDA. I got this from a site which this award has been linked to, it’s an official award. Its all happened purely with all my readers encouragement ... My grateful thanks to each of my readers for nominating my blog to have this success. The Simple Network Management Protocol (SNMP) is the protocol responsible for allowing network management stations on a TCP/IP internetwork to perform management tasks with managed devices. SNMP is used in Network Management Systems(NMS) to monitor network-attached devices for conditions that warrant administrative attention. It consists of a set of standards for network management, including an Application Layer protocol, a database schema, and a set of data objects. SNMP exposes management data in the form of variables on the managed systems, which describe the system configuration. These variables can then be queried (and sometimes set) by managing applications. In typical SNMP usage, there are a number of systems to be managed, and one or more systems managing them. A software component called an agent runs on each managed system and reports information via SNMP to the managing systems. There will be 2 things in SNMP design. One is Manager and the other is Agent. Manager will be a main station containing HP Open View or Netcool – Suite. Agent would be SNMP software running on any client, which will be monitored by Manager. The manager is usually a software program running on a workstation or larger computer that communicates with agent processes that run on each device being monitored. Agents can be found on switches, firewalls, servers, wireless access points, routers, hubs, and even users' workstations – the list goes on and on. As seen in the illustration, the manager polls the agents making requests for information, and the agents respond when asked with the information requested. Its farewell time for Sriram and Jagadish(Jags). They arranged us party in Blue spice.We were around 2o people assembled there with prior booking of our table.Blue spice is famous for its buffet lunch with affordable price(130/-) and quality of items. So far in my view; this is the best buffet with many food items and other things what you expect like ambiance and nice music that to in Koramangala. Its been 3 years since we are working together, now its come to an end. When I recollected the days - This is the prime time in my life where my career has been shaped. Some prime reasons for this is due to these fellows. Especially Sriram is the one like santosh; who has inspired me with his great support in the work place to achieve some of the bright mile-stones in my life. He is not only the one who inspired my in my career but also in my personal life. I am just a normal human being - but having good ideas of leading life with its ultimate goals like understanding ourselves. Its been made understood from them easily. I like sriram's smile even when he is in trouble. That is his symbol of accepting and resolving troubles. His patience is unpredictable, I cant forget the days we spent to troubleshoot the problems till the midnight. 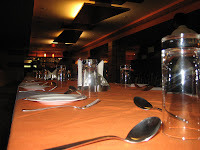 The time we had in office & in restaurants are really memorable. A goodbye isn't painful unless you're never going to say hello again.Be well, do good work, and keep in touch. In the hope to meet shortly again, and make our absence sweet. Following are my contact details - always feel free to drop me a mail/SMS. Please do drop your feeling after watching my Blog. "Cute and curious – Fast and furious"
Why I said "Cute and curious - Fast and furious"; I love doing things attractive by means of quaintness which I called as CUTE, Im always eager to know the beyond hence CURIOUS,mostly Im FAST about the things I know and last but not the least FURIOUS- I will be extreme and with violent energy while doing any thing. I like travelling a lot, Enjoy meeting new people and talking to them about things what they love and where they live.My hobbies include writing, listening to music , playing computer games reading on Internet and watching movies. I have diverse and wide variety of interests with many passions. My interests include - Technology, Travelling, Science, Literature , Movies , Music, Politics , Culture , Personal Emotions etc etc. Hope you will bag few memorable things after reading my blog ... Thanks for being here. You can contact me through e-mail. Movie name : Chintakayala Ravi Songs The tagline is ‘software engineer’. Following are some of interesting blogs I found till now ...please comment to add your blog here. I really amazed to see this web portal ... I saw this kinda web portal in US to know the list of car-poolers in particular route. But the one we have, perfectly suits to our requirements like route map, auto fare, live traffic, nearest bust stops and also to get the route on our mobile etc. What I like in this Portal ? At Present it is only available for very few cities like Bangalore, Hyderabad ,Chennai and Pune. Some of them are still beeta. The articles I wrote are not for any commercial purposes but just to share my views. The Ads that make revenue will surely go for the charity purposes. Not even a single paisa to my pocket. The posts I publish are just from my experience and just my feelings but not guaranteed that it helps every body. My posts won't show any affinity towards a particular political party or a particular person in this world. Any information used from internet or books is just for reference about my ideas. My posts are not particular to promote any religion. I am not making any money from this blog, so if the photos or information I used from others sites , can notify and ask me to remove his proprietary information from my blog. (Required proofs of proprietary). Unless otherwise intimated, copyright of the material on this blog is held by Krishna's Page administrator. Permission is granted to reproduce and distribute copies of the information for nonprofit educational or library purposes, provided that copies are distributed at or below cost, and that the author, source, and copyright notice are included on each copy. These items may be further forwarded and distributed in the network, so long as the statement of copyright remains intact. For further information, contact krishna's Page administrator. In this space I want to share my discussions or understandings about any important people I meet so far. Please do share your time and feelings with any body u meet; it would be a VIP or a simple human being ...If the feel you got is unforgettable it should be a thought-provoking and should be shared to others. So please send in your conference with anybody to my e-mail(krishnaspage@gmail.com). Note : Please follow the Disclaimer. Please send in your questions to my e-mail. Why do I Blog? What do I Blog? It’s a simple cause; I used to write my personal dairy which got ruined due to my present busy life. Krishna’s page (My blog) now became my e-dairy to continue my habit of writing partially. I don’t know why? I love writing more in blog than in my dairy book. But I love blogging for what ever the reason. My loneliness in my own feeling became added advantage to it. My habit of sharing things to friends is just extending now to world of internet users. One should not suffer as like me... This strong feeling in my mind always encourages me in writing new posts. Time is precious in anybody’s life. When ever I face any problem and come-up with a solution for that I generally share that to all, so that next time it will become at least a known problem with some workaround for people. And I have diverse and wide variety of interests with many passions. To be very frank and clear with honesty I wrote on multiple subjects. If I stick to a single topic I can’t promise you my honesty. So readers I can’t promise that all Posts may interest you. Hence the section “Find your interest”. You can always pick your choice there. I blog just because I believe, there is no more logic involved in it. And it’s the only place where I have full freedom to pen my thoughts or feelings to share with world. But sure there will be always comments – The only thing which makes me more interested in writing posts is “comments” section. Even a single comment for any post gives me solace, it changes my way of thinking, and it shows me the other side of the coin. So please don’t forget to add ur feeling in the form of comments for each reading on Krishna’s Page. Last but not the least - the caption “One Blog … Mavin Solutions” for this Krishna’s Page is now justified with the above things I guess. Why do I place Ads? I started placing ads on my blog with just curiosity that even this will generate revenue? Still I haven’t received any money from Google, but still I have a confidence that one day I will receive this money. But when I observed these ads I realized that; these ads also surely will help few people when they are reading any particular article. Kudos to Google for designing such a smart mechanism in displaying the ads only related to content on web-page. I can always earn for my survival with my regular jobs but I as a human, want to use the money that being generated from my blog for a better purpose. The money I am going to generate from these Ads is surely used for any charitable purpose . So, Keep on clicking these ads for a better INDIA. This was the first trekking in my life in moon light and I'm sure it is going to be memorable one through out my life. This trekking was most awaited trip for my friends and me. Long back we saw a mail from one of my friends showing the beautiful photos above the clouds and multiple colored clouds having a small sun between them ... Those snaps were really awesome. After that it was just last week end we got a chance for this trekking. Every thing happened in minutes with the planning of Mr.Murali. it took a left turn to Chikaballapur, a small town in bangalore rural district. After around 10 km of journey (via chikaballapur) through a tiny road we reached to Omkara Jyoti Ashrama / Papagni Mutt at kalawaraVillage which seems to be a very old though a small one.We reached there by 3:00 AM and we staretd trekking with a guide named lakshmayya(There we will get local people who acts as guide to reach the top of hill. But with out a guide it would be difficult as some of us missed the route when guide was bit ahead of us). It was too cold & dark, we all are wearing thick jackets and fully covered our faces with woolen caps. Holding a Torch light moved ahead following guide one by one. Most of the route is in dark bushes and giant rocks; allows only one person to walk in the route. But it was full moon day that day and bit dry, so route is clear and route is not sticky soil. But it was a thrilling trekking as we started in the dark night. With 9 to 10 rest points we reached on top of the hill around at 5:20 AM. Still it was too dark and there the air speed is around 50 KM PH and it was spine chilling and we were not able to stand even properly. The good thing I felt about this trek is it would have burned surely many calories which I cant even do it in a week time in a gym. And I was totally relaxed from all my routine office and personal life stuff. Once we reached on top - I got a situational song in my mind which is "Dam are Dam..." as many people(females also included) are completely drunken and simply chilling and screaming. Before starting this trek many friends suggested us to carry some bread kind of stuff, chips and enough water as nothing will be available on the hill top; and we simply manged all the required things(thick jacket, food, water, good action shoes, woolen caps and torch light) to Cary. we relaxed for few minutes and had some snacks to get some heat in our toiled and cold bodies. As it was still dark we did not feel the mist and fog yet. When the time is ticking around 6 AM slowly darkness disappeared and then we started enjoying the climate with the deep fog and mist. All the plants are dew filled and rocks are wet. Simply it was awesome and nice feeling to enjoy the breeze. We had really a nice time on the hill in the mist. The only unlucky thing for us is the sun-rise. As the day is cloudy a day we were really disappointed about sunrise. Still it is memorable to see fearing sun slowly coming out from clouds. And while getting down from top of hill it is more treacherous. Please be careful while returning. We reached our cab in the hill starting point around 9:30 AM. And proceeded to Nandi Hills. I suggest all of you also to go for such a wonderful trekking and give your mind and soul a fresh breeze ; and experience a difference in coming days. the cost of the trekking is around 350 bucks and its worth going. Don't forget to follow the guide lines mentioned and carry the needy stuff. Bike is Pulsar, yes as caption says "It is definitely male" ..I like it. Pulsar has good advantageous places to decorate with some nice captions on stickers. like on the head light, both sides adjusant to fuel tank. and at the back. But ended in a dilemma with many in mind. so need your help here to finalize few . 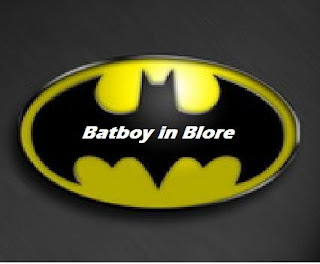 For head light part I designed a logo which looks like the one shown here... suggest changes if u have ..
And I have got many cranky lines below ... pick ur choice .. and put it in ur comment. 12. Alpha-Q (in the back of bike) with middle finger showing up as a symbol. 14. I'm not a bum! Most of us are educated people, but many of us are illiterates in the Rules and Regulations (R&R) about Traffic. At least once you might have paid penalty to traffic cop ..is in't it ? When ever we gave some bucks as penalty to cops for any reason that moment we thought of learning traffic rules and , takes a oath in our self to learn all the traffic rules in order to obey perfectly from next day onwards. But this oath will become un attempted for whole life. Not even people surround us educate us in this matter. Because many of us won't care about it. Being an educated Indian one should have minimal knowledge to build a curruption free INDIA. So lets act legally ..Help Fight Corruption in traffic. These days I faced several situations and observed some scenes with friends; even if there is no mistake from our side,Traffic police started asking money from innocent public like us. We will be in hurry to catch some train or bus or even to go to office, we won't think and recollect R&R, but we end up in paying some thing to cop to get out of that situation when ever cop locks our vehicle and try to detain our vehicle. * When a Traffic cop can detain our vehicle? * Do we need to leave our vehicle and go ? * How much fine we need to pay? * Do we need to give our license to cop? * If our license is taken ; shall we get another temporary license? etc. Find answers for all those FAQS from the official Bangalore traffic controller website. The following links are purely government website only....we can trust I think. I got rid from this subtle with small practice of keeping a hard copy of the following R&R FAQ's in my vehicle. Hope this helps all of us ... If you have some other points to help me in regards to this; please add your comments here. Google's Chrome, ready to Rule the browsers world !!! Yet another browser from Google. Most awaiting Google's Chrome Browser is now released and ready to rule the browsers world. I tried this already and its very cool.I can say about chrome as"Developers and testers friendly browser". Of course there is no doubt it will mesmerize normal internet users when used as a normal browser. And i guess it is going to attract all other browsers(IE,FF, etc) users soon. And the feature like "Report bug or brokenwebsite" etc will surely help the web developers with out much pain. As seen in the beside picture the new properties provided will surely grab the new users. While using VI editor in UNIX many of us come across a need to Replace a particular word with another word. "Ramu and giri are really nice friends. Both of them work in the same office. Ramu working as SWE and giri working as Accountant"
In this post I am going to present the required stuff for Attending interviews on Java. Post is written keeping in mind about beginners. White paper with more details about the above words. .class contains only bytecode (a machine's language 0 & 1's )which can only be understood by JVM(machine is - Java Virtual Machine). The name itself is saying that its a virtual machine but not a physical ..
Java Code is one - generated class file is also only one but the JVM's are multiple; to execute it on multiple machines. But Java runs on top of any. I love JAVA because - "its write once run anywhere". "Hello World " well known word while starting any programming language. What is the correct signature of the main method? When declaring the main method, which modifier must come first, public or static? They can be in either order, but the convention is public static. What parameters does the main method define? The main method defines a single parameter, usually named args, whose type is an array of String objects.